Each week I wonder if “this is the week” I am going to be disappointed with the collection of projects linked up to my weekly Tutorials & Tips link party. That might sound pessimistic at first glance, but to the contrary, it’s just logical. Regression towards the mean would dictate that at least ONCE out of the 96 weeks this party has taken place a collection of projects would turn out to be duds. But nope. You all are way to awesome for that. Instead of a regression towards the mean, the projects just stay consistently off-the-charts-awesomesauce week after week—which is how we like it around here! 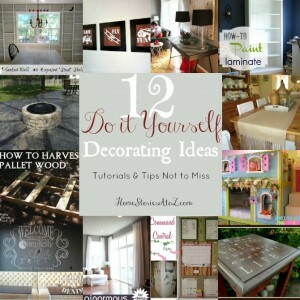 So without further ado, here are 15 do it yourself tutorials and tips from around the blogosphere that do not disappoint. Enjoy! How to Make a Barn Door Headboard by Little Yellow Barn. 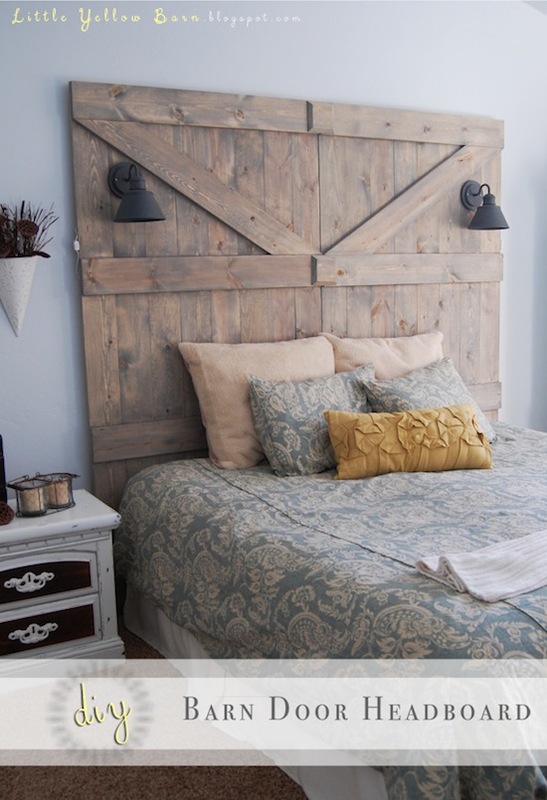 I have a thing for barn door headboards *wink*! 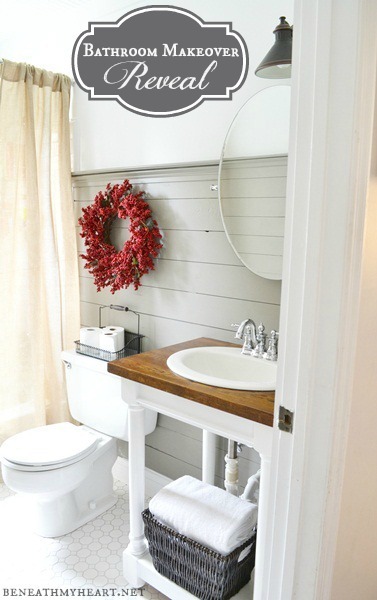 Bathroom Makeover Reveal by Beneath My Heart. Traci’s home is coming along so nicely isn’t it? I love seeing all of her room reveals. Gorgeous! Go check out her guest bathroom. 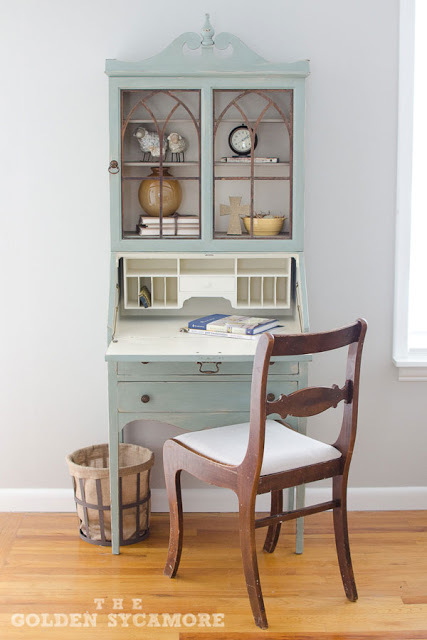 Vintage Secretary in Duck Egg Blue by The Golden Sycamore. 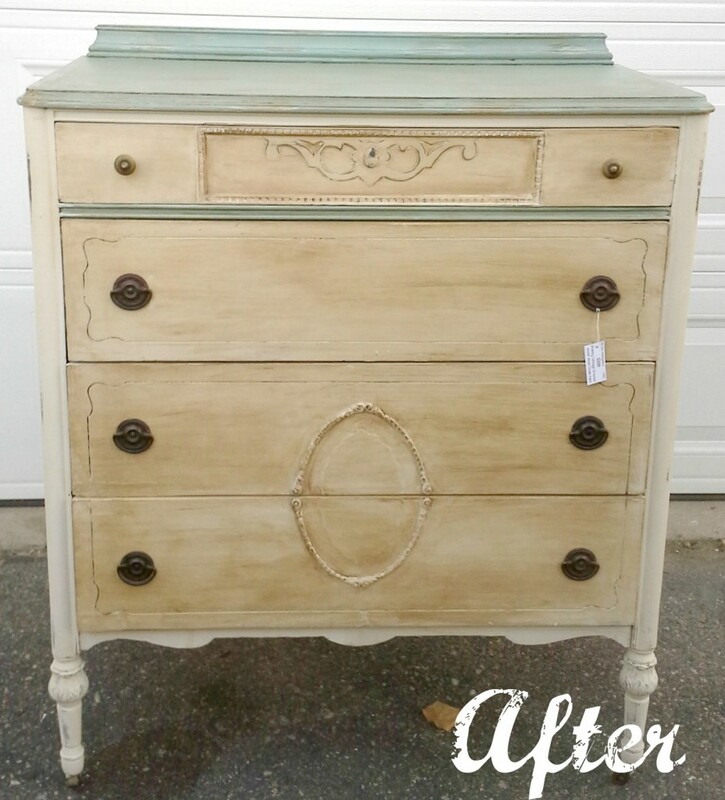 Allison creates some beautiful painted furniture! 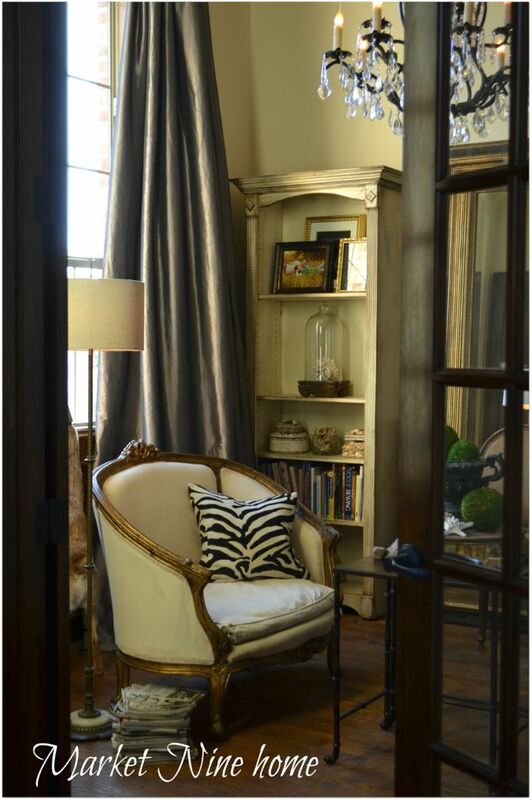 She’s making me want to attack my unsuspecting armoire with some duck egg blue :). How to Fix Veneer by A Sunday Afternoon. This is an excellent tip if you have a chipped piece of veneer furniture that needs fixing. 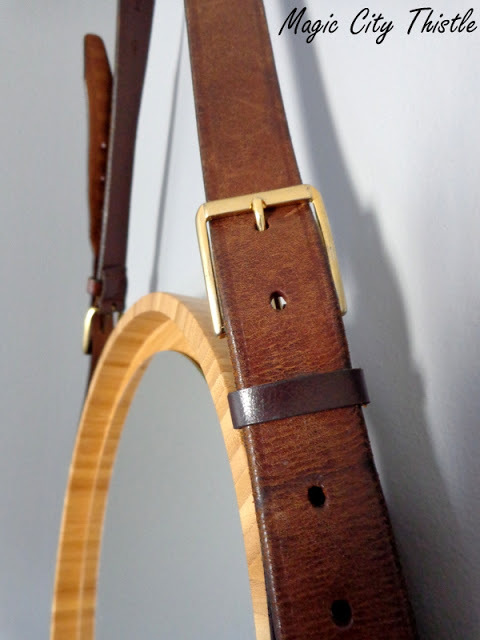 How to Make Your Own Captain’s Mirror by Magic City Thistle. 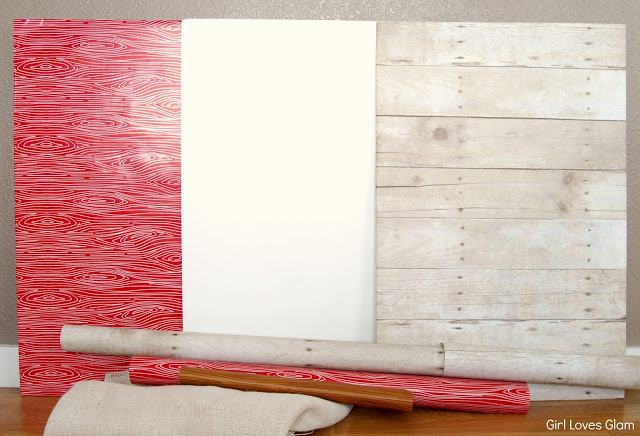 If you’re lucky enough to score a round wooden tray, then you are on your way to creating your own Captain’s Mirror. 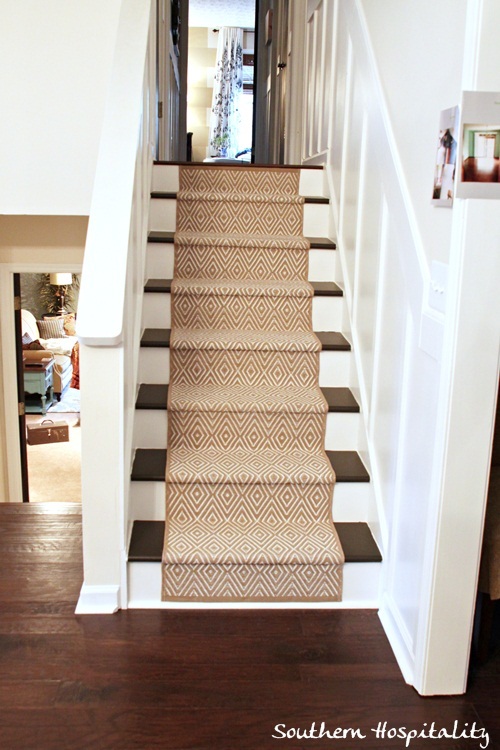 How to Add a Stairway Carpet Runner by Southern Hospitality. Great tutorial for anyone wanting to add a carpet runner to their staircase. How to Paint Stairs by All That Brings Joy. 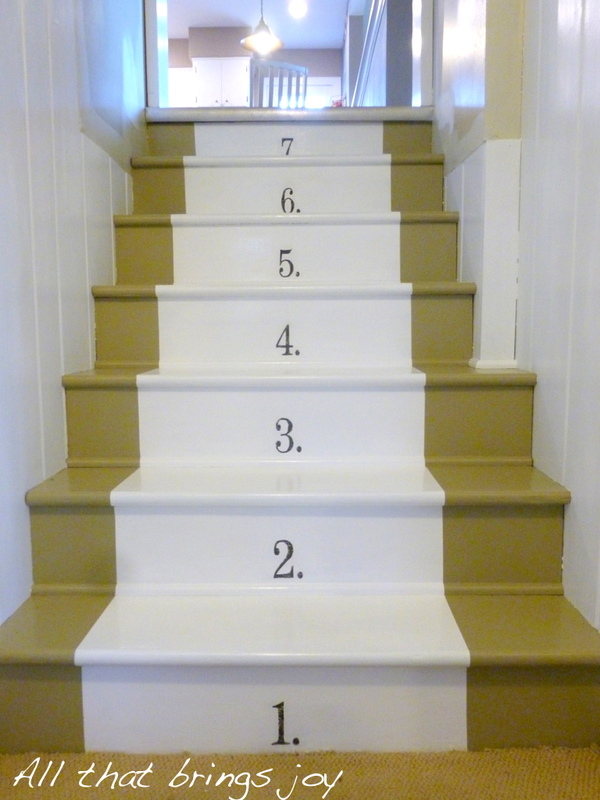 Or if you just want to add a “paint runner” to your stairs, you can glean some tips from this post on how to do it. 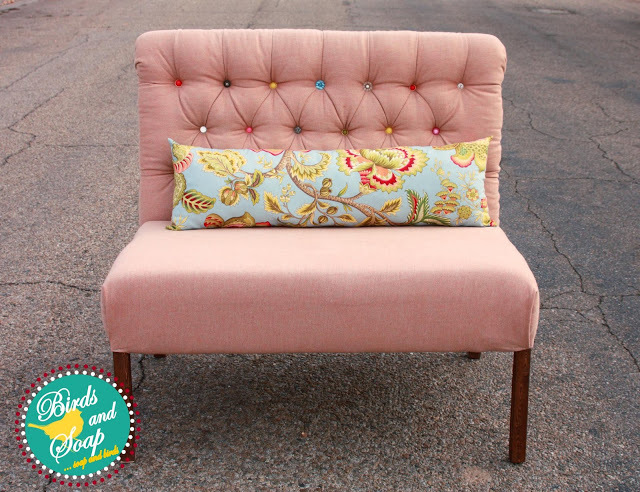 Diamond Tufted Dining Bench by Birds and Soap. She built it and tufted it. The colorful mismatched buttons were a brillant idea! Go see how she pulled it off. How to “Reupholster” a Chair in 5 Minutes by Songbird. 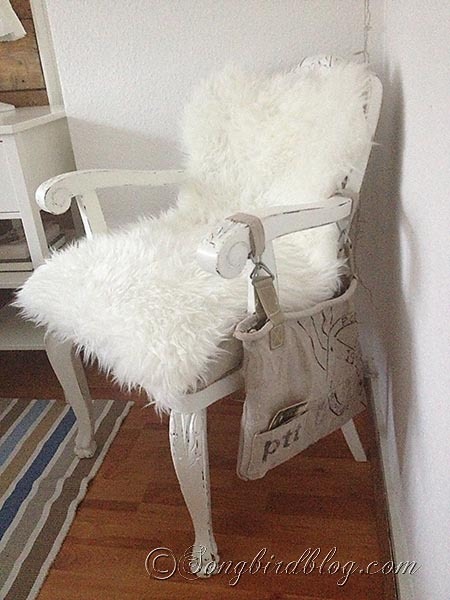 I am partial to fluffy-white-furry-things so this sheepskin chair speaks to me. I think I need an Ikea sheepskin now. Tip: How to Use PicMonkey as a Design Tool by Dimples and Tangles. Great tip on how to use simple (and free) photo editing software to help you make design decisions in your home. Tip: How to Shop for Second Hand Items by Market Nine Home. Shopping on Craigslist can be daunting at first. Learn some practical tips on how to shop second hand like a pro. Tip: How to Create a DIY Photo Backdrop by Girl Loves Glam. Professional backdrops can be pricey. Learn some tips and tricks on making your own! Tip: How to Create a DIY Photo Booth by ‘A Casarella. 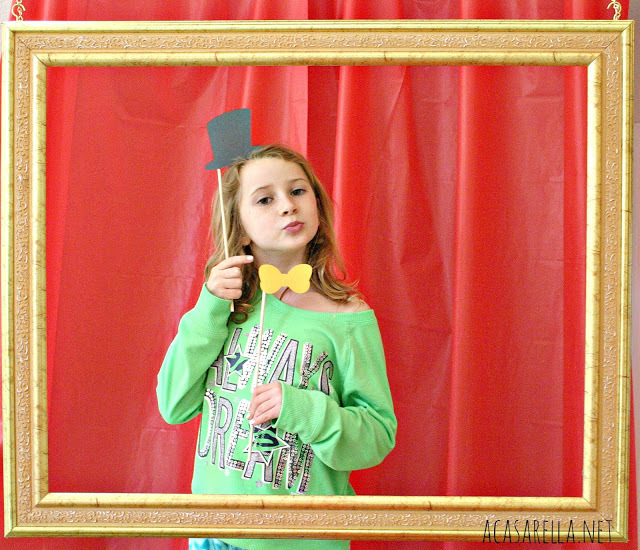 Learn how to create your own props and your own fun “photo booth” for your next party or get together. 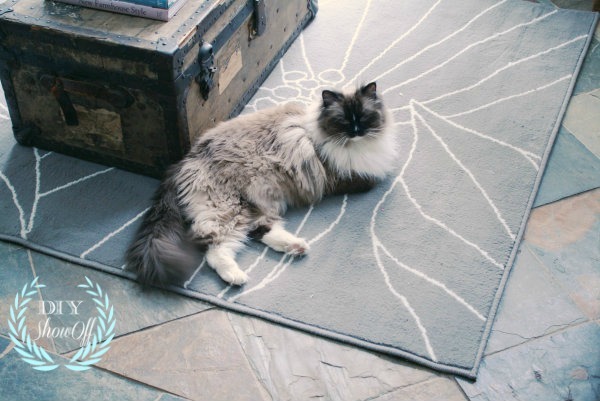 Tip: How to Flatten a Rug by The DIY Showoff. Does your rug curl up on its own? Is it driving you crazy? Learn how Roeshel solves that problem in her home. Thanks to everyone who linked up and linked back to the Tutorials & Tips party last week! Remember that if you have a tutorial and tip to share, please feel free to link up to the weekly party that starts every Monday evening and lasts through Wednesday evening. I’d love to have you join us! And if your project is awesomesauce, then you’ll be featured too :). All beautiful but I’m loving the stair tutorials most! Awesome projects! I love those stairs! Great post! Well-done to all the DIY bloggers that give us a note of freshness! Wow! 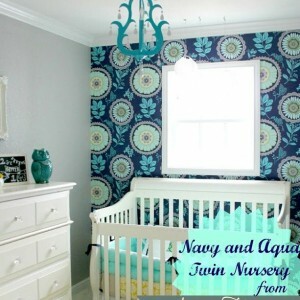 Thank you for featuring my DIY Photo Backdrops! I am honored to be featured with these amazing projects! I saw those backdrops on Pinterest before this feature and I was so inspired!! I’m making my own this week! Thank you for featuring my headboard!!! 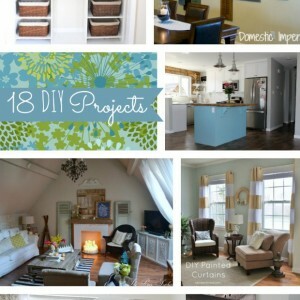 Love these ideas, I think I pinned about 8 of them! 🙂 Thanks again! Hi Beth, You are so right they are all great. Been keeping myself busy doing some painting. Stop by for a look. Hi Ahrisha, long time no see! I’ll stop on by girl :). Thanks for the invite! Thanks for featuring my bench! Woot! Jenny, I saw it when Ana posted it and LOVED it. Glad you linked it up so I could feature you :). What a pleasant surprise! 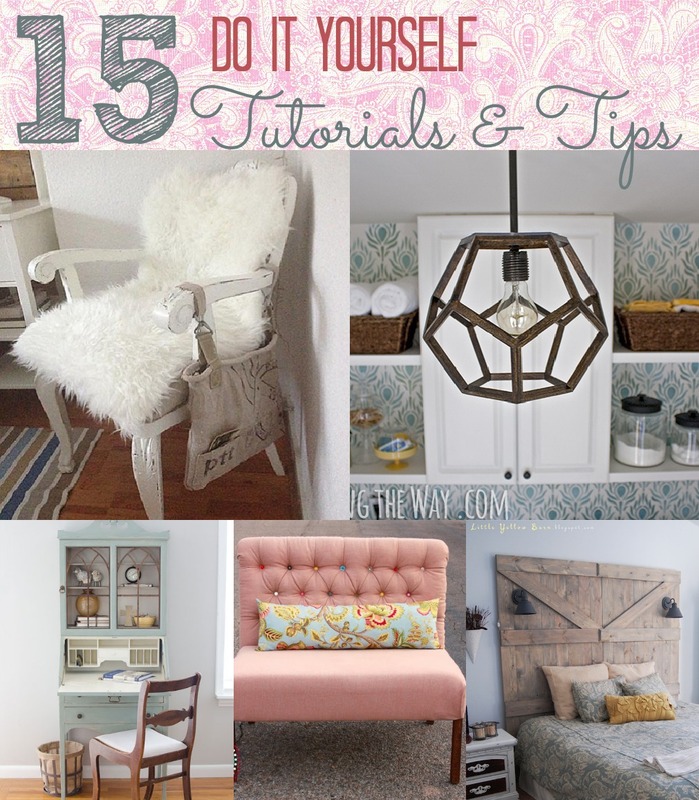 Thank you Beth for featuring my tip on using photo editing to play around with design choices. You are right…you have SUCH great projects linked up week after week! It’s a privilege to be included! You’re welcome! Great tip Jennifer :). I use Oliobaord but hadn’t thought to use overlays in PicMonkey. Great features! 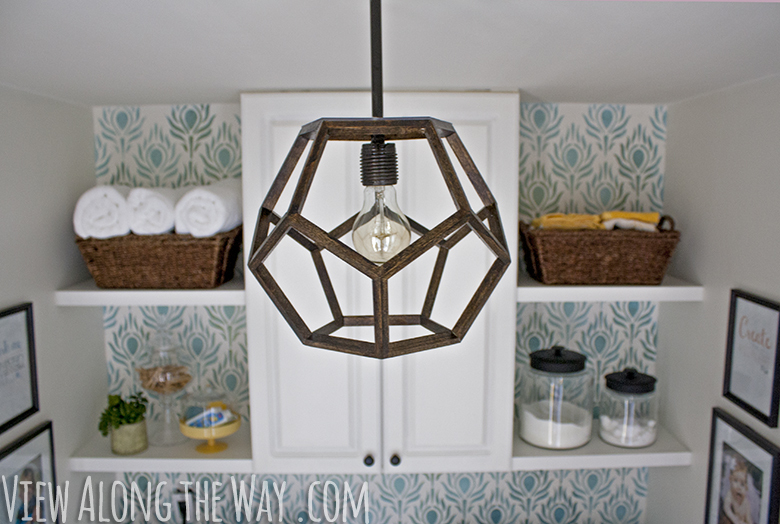 I’m a little obsessed with that dodecahedron light. I’ve been contemplating buying a table saw so DH can make one, even though table saws sort of terrify me. Did you see that they are selling the lights made to order? I don’t want to discourage you from DIY’ing but wanted to be sure you saw that :). Oh wow! Thank you so much for featuring my photo booth. LOL! 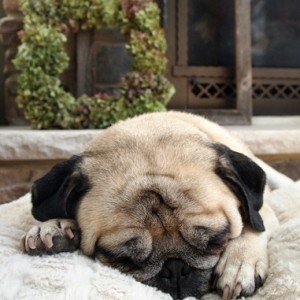 That is too cute :). I absolutely love that DIY light right before mine. I am bookmarking that for the boys’ rooms. Great tips Kristie! Thanks for sharing them with us :). So that’s why I suddenly feel all these happy heart vibes! Your light is awesome and as much as I enjoy DIY’ing all those precise little angles would drive me batty. I hope you have lots of orders coming your way! Thanks so much for featuring my secretary and for your sweet compliment! I really enjoy what I do and love that others are enjoying it, too! And I say you should totally attack your armoire with a little paint! I’m sure it will look beautiful! I’m going to :). 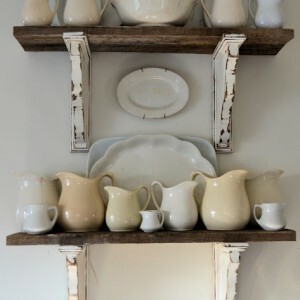 I have some milk paint that I’m itching to play with.